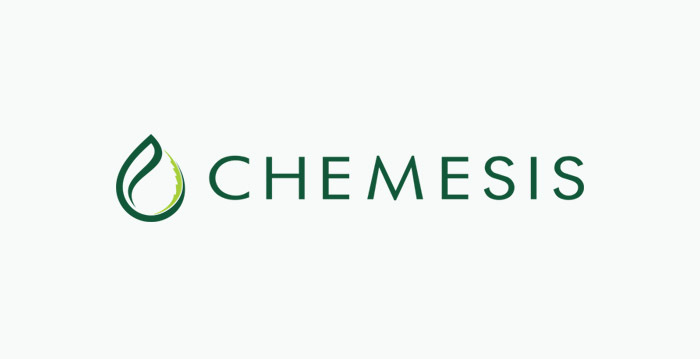 VANCOUVER, British Columbia, March 13, 2019 (GLOBE NEWSWIRE) — Chemesis International Inc. (CSE: CSI) (OTC: CADMF) (FRA: CWAA) (the “Company” or “Chemesis”), announces its wholly owned subsidiary, La Finca Interacviva-Arachna Med (“La Finca”) commences the process towards large scale cultivation. The Company, which received its Seed Producers License in January, is now able to export its high concentrate CBD genetics as well as distillates and other manufactured products. With the initial harvest scheduled for calendar Q2-2019, La Finca is poised for expansion into large scale commercialization by calendar Q4-2019 having accumulated over 1,060 acres through its farming Co-op. Obtaining the Seed Producers License allows La Finca to develop its own genetics which is essential when quickly scaling cultivation. La Finca will continue to proceed with the agronomic evaluations that are required by ICA (Colombian Ministry of Agriculture), to increase its number of cultivars that can be cultivated to achieve country-wide commercialization in all regions and climates across Colombia. The Company currently has been licensed for 5 cultivars, which will be harvested for domestic and international distribution. Furthermore, each of the five cultivars were developed with Universidad Nacional de Colombia, the team utilized selective breeding methods to ensure each plant variety was developed to leverage Colombia’s climate while obtaining the highest quality and yields from each harvest. Forward-Looking Information: This news release contains “forward-looking information” within the meaning of applicable securities laws relating to statements regarding the Company’s business, products and future of the Company’s business, its product offerings and plans for sales and marketing, including finalizing an acquisition in Colombia. Although the Company believes that the expectations reflected in the forward-looking information are reasonable, there can be no assurance that such expectations will prove to be correct. Readers are cautioned not to place undue reliance on forward-looking information. Such forward-looking statements are subject to risks and uncertainties that may cause actual results, performance and developments to differ materially from those contemplated by these statements depending on, among other things, the risks that the Company’s products and plan will vary from those stated in this news release and the Company may not be able to carry out its business plans as expected. Except as required by law, the Company expressly disclaims any obligation and does not intend to update any forward-looking statements or forward-looking information in this news release. Although the Company believes that the expectations reflected in the forward-looking information are reasonable, there can be no assurance that such expectations will prove to be correct and makes no reference to profitability based on sales reported. The statements in this news release are made as of the date of this release.